Downeast Lakes Land Trust is always looking for ways to connect more people with the amazing landscape conserved with the help of our community supporters. While DLLT manages several water-access campsites along the Downeast Lakes Water Trail, primitive, drive-up campsites are few and far between. 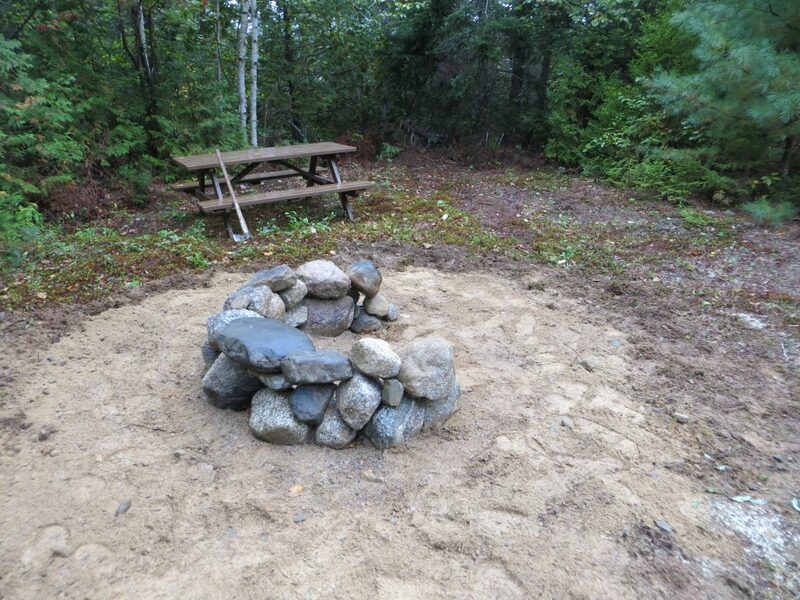 DLLT is pleased to present the latest addition to the community forest – The Rolfe Brook Tent Sites! Perched on a sandy hill above Rolfe Brook, these primitive campsites are conveniently located approximately 4 miles west of Grand Lake Stream. 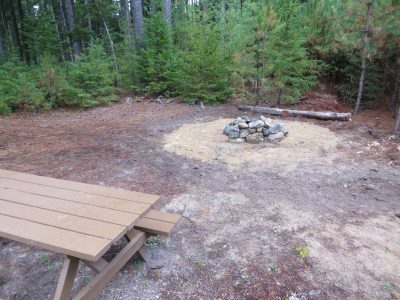 Equipped with a picnic table, firepit, and a shared privy, the sites are not suitable for RV access, and tent camping is permitted on a first-come, first-served basis, free of charge. In order to prevent extended crowding, the sites have a maximum stay of five consecutive days. These family-friendly sites provide a great option for exploring the Downeast Lakes region. If you are interested in tent camping, look for signage along the Fourth Lake Road, and turn left to drive in ¼ mile to the two sites. For more information, please contact DLLT at (207) 796-2100, or email info@downeastlakes.org. DLLT High School Internship Opportunity! DLLT is a community-based 501(c)(3) non-profit founded in 2001 in Grand Lake Stream, Maine.